"In many areas Costa Rica is light years ahead of any country in Central America." Costa Rica, third in the world for life expectancy, and having an infant mortality rate less than that in the United States, is an extraordinarily healthy place to live for a variety of reasons. You can start with a low-stress lifestyle, combine it with their diet of fresh, non-preservative laden foods, and add in a good dose of tropical climate. You could even toss in the healing waters of mineral springs found throughout the country. But these things, alone, may not assure good health, as they can be found in other parts of the world. The one single factor that contributes most to the country’s healthy environment is the goverment's attention and ongoing commitment in providing low cost access to one of the finest health care systems in the world. The government-sponsored network of 29 hospitals and more than 250 clinics is open not only to Costa Ricans, but also to any foreign resident or visitor. The World Health Organization has ranked Costa Rica as one of the top three healthcare systems in Latin America, and the nation consistently ranks higher in healthcare than many of its industrialized counterparts including Canada and the United States. "The quality of health care in the third world or in less developed countries is not generally considered adequate, the education and training is typically minimal, there is no modern medical equipment and the medications that we are accustomed to in the first world are simply not available." "Having said that, this is definitely NOT the case in Costa Rica. This little country is in so many ways a rare blend of political, social and economic structures." "The medical field is no exception. Back in 1949 after a short civil war the winners of the conflict took advantage of the historical opportunity and gave Costa Rica a chance to stand out from the international scene by declaring itself a democratic republic, renounced the existence of armed forces and placed all it's efforts on education and health." In 2015, the country welcomed some 48,000 medical and health travelers, mostly from the US, Canada, and the EU. Neighboring countries such as Nicaragua, Guatemala and Honduras also seek out Costa Rica for access to higher-quality medical services. Some five percent of Costa Rica’s international tourists visit this small, lush country to take advantage of its medical services, mostly cosmetic surgery and dental care. For those planning minimally invasive procedures, Costa Rica’s proximity to the US and reputation as a tourist destination offer the best of both worlds. In fact, Costa Rica is one of the top five countries most visited by Americans seeking medical treatment. One of Costa Rica’s unique health travel specialties is the “recovery retreat,” a hotel or ranch-style accommodation that serves recovering patients exclusively. Situated close to clinics, these retreats have all the amenities of a typical hotel, but they are staffed with nurses and interns who attend to the special needs of recovering patients. Transportation to and from the airport is usually included with the cost, as is transport to clinics for consultation and treatment. Guests in these retreats can discuss their latest treatment. And the clientele at any point in time includes notable evidence of recovery’s progress—from the fading bruises of yesterday’s facelift procedure to the confident smile and gait of the patient heading home. International patients will be pleased to learn that Costa Rica’s hospital and clinic websites are translated increasingly in English. 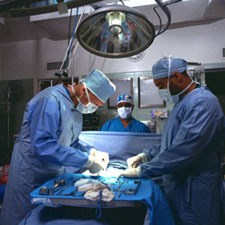 Costa Rica's hospitals are generally small compared to top international hospitals in India and far eastern countries. However, health travelers to Costa Rica can find excellent services in some of the smaller, private facilities located in San Jose and its Americanized suburb, Escazú. Quality Healthcare in Costa Rica is also attracting Global Investors. A leading Costa Rica real estate company, CVL, believes that the government's initiative for innovative and systematic health care is a key factor for this rapidly emerging economy. "Costa Rica's commitment to healthcare advancements makes it a favorite for medical companies, as well as Costa Rica property investors." The three largest JCI accredited private hospitals are 1: Hospital CIMA, 2: Hospital La Catolica and 3: Hospital Clinica Biblica. All three hospitals have recently undergone extensive expansion and modernization to attract a broader mix of international patients. Clinica Biblica was the first in the country to achieve JCI accreditation. American-owned Hospital CIMA in San Jose achieved JCI status in 2008. Both are full-service hospitals offering patients a wide array of specialties and procedures previously unavailable to the medical traveler. The third, Hospital La Catolica, was previously accredited but had that withdrawn in 2012 for undisclosed reasonsreason s.